This article was originally published in the Journal of Commerce on Oct. 2, 2018. When U.S. President Donald Trump announced on September 17, 2018 that the U.S. would be imposing tariffs of 10% (and eventually 25% come January 1, 2019) on $200 billion in Chinese imports, it hardly came as a shock to anyone who’s been keeping tabs on the U.S. administration’s trade file. President Trump campaigned on a promise to take action against what he believes to be unfair trade practices, and take action he has. Despite protests from industry groups and warnings from economists that protectionist measures would cause far more harm than good, the President has remained steadfast in his resolve to punish adversaries and allies alike. While industry groups lament the trade disputes and their disruption to business, there’s a remarkable amount of work being done behind the scenes among America’s largest businesses to minimize the impact of global trade disruption. However, the safeguards they are implementing aren’t exclusive to big business and are just as accessible and realistic for many medium-sized firms that import at high volumes, but many of them aren’t taking advantage to the same degree. Here are some basic actions mid-sized businesses could take to limit additional cost and risk during America’s ongoing trade disputes. The U.S. administration has been brilliantly transparent about its intentions to carry out specific trade actions. 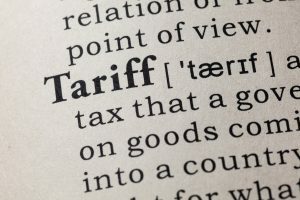 The U.S. Trade Representative (USTR) has provided extensive lists of proposed products or product categories to which tariffs will be applied well in advance of the date the tariffs are actually applied. Those businesses that have been paying close attention to the affected products and countries of origin have been able to stockpile inventory prior to the date the tariffs took effect. This is no easy feat given the capacity constraints on ocean freight vessels, but with the support of freight forwarders, many businesses have been able to get inventory States’ side to avoid paying costly tariffs. While this tactic could have an adverse effect on warehousing costs, those costs are typically insignificant relative to the proposed tariffs and the potential for lost business due to price increases or lacking inventory.